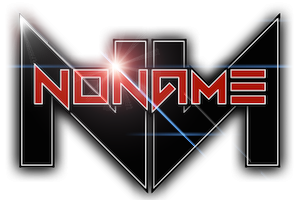 25/02/2015 New Journey begins at NoName. Member since September 18 2013. So, I was at work and my laptop stopped charging. The tip of power cord was starting to fail like 2 or 3 weeks ago. I had to squeeze it and move it in order to charge. This time, I moved it, squeezed it, pulled it, etc and nothing. So, I removed the tip cover (soft plastic thingy) and re-soldered the tip. It worked for about 3 or 4 days. Then it stopped working. But this time it wasn't the tip, it was the brick itself. I was in a hurry, needed to finish employee payroll report so I could pay them and I was at 9% battery. So, I decided to cut entirely the cable and adapt another power brick from a dell laptop that we have on the studio, (Btw, my laptop is a samsung). The samsung power brick is 19 volts - 3.16 Amps, the dell one is 19.5 volts - 3.34 amps if I'm not wrong. What I though on the moment was "Well, I need to finish this today, if not my employees and the owner will kill me, It's just 0.5 volts and 0.18 amps higher, nothing bad should happen". I finished the report, payed to everyone on the studio, and started playing some music while I was doing a shopping list for new equipment for the studio. The computer shut down unexpectedly. Time between I "adapted" the power cord and the shut down was about 1 hour. I immediately unplugged it and let it rest. Plugged it in again with the same adaptor and guess what? No charging light, wouldn't turn on either. I disconnected the power brick and the laptop, let it sit for some days, I don't even know how many and tried again. This time it turned on, I didn't even let it go through post screen. Immediately disconnected the power cord. I knew the computer was alive, so today I went to buy the new power adapted. Plugged it in aaaand... No power, no charging light, NOTHING! So, I'm thinking about getting a new, entry level Desktop computer, I have 2 builds in mind, one Intel and the other AMD, my budget is around 700 USD. What do you think? Which is better? Is there any way to get better specs with that budget? Im having an issue with them, they are showing blue screen at least 2 times a day. I ran a test on the drive where i introduced 35 gb of data having in mind that when NAND chips fails they become read only wich might cause bluescreen, it failed the test. It just copied 6 gb and stoped to 0 mb/s transfer rate. So, i concluded the drive was bad, i swaped it for a kingston ssd last week and yesterday it gave blue screen again. Any clues about what might be going on?